As spring brings buyers out to open houses, a recent report on the Chesterfield and Henrico Counties’ real estate market is showing a rise in prices and a tightening in inventory. As prices rise and the number of available properties shrinks, current trends suggest a hot summer market is just around the corner. Let’s look at some of the more prominent statistics from the Chesterfield County real estate market. There were 522 homes sold during the month of March. This number is down 6 percent from this time last year, but it shows an increase from the 352 sold in February. Chesterfield County’s median sale price for March was $255,000, which is an increase of 6 percent from the median sale price of $240,000 in March of 2017. Active inventory as we ended the month of March was at 1,087. This number shows a decrease of 17 percent from the 1,312 seen in March of 2017. Currently, the average number of days on market for a home in Chesterfield County has decreased to 42 days. This marks a 7 percent decrease since last year. We ended March with a 2.1 months supply of real estate inventory. This is down from the 2.4 months supply recorded in March of 2017. The market is considered balanced with a 6 months supply. With the current inventory crunch, it’s a good idea to be on top of new homes that are hitting the market. The best thing to do is create a search that notes exactly what you’re looking for in a home. As new homes come on the market, you’ll receive notices that let you know it’s time to take a closer look. Getting there one step ahead of another buyer may make all the difference. 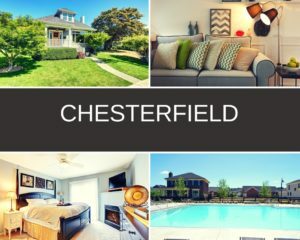 Chesterfield County market trends are showing that sellers are typically receiving 99.9 percent of their listing price. This is consistent with the amount recorded this time last year. The average number of days a home is on the market is averaging 42, which is excellent news for sellers who are anxious to get to the closing table. If you’re thinking it’s time to sell your Chesterfield County Home, take a look at how much your home is worth. This will give you a general idea of what to expect before you contact your real estate for a comprehensive report. Let’s analyze some of the statistics and market trends for this month in Henrico County. There were 369 properties sold in the month of March. That’s an impressive increase from the 278 sold in February. In fact, it’s a 33 percent increase. However, it still shows a 12 percent decrease from last year’s number. Henrico County’s median sale price for March was $249,000, which is an increase of 9 percent from the median sale price of $228,725 in March of 2017. Active inventory as we ended the month of March was at 671. This number shows a decrease of 21 percent from the 848 seen in March of 2017. There is currently a 1.8 months supply of real estate inventory. This number is down 10 percent from the 2 months supply we recorded this time last year. There were 618 new listings in March, which is a decrease of 8 percent from last year’s 675. As a home buyer, you don’t want to be late to the open house that could land you the home of your dreams. To prevent missed opportunities, sign up for access to the latest homes to hit the market. You’ll get e-mail updates that will put you ahead of the pack. 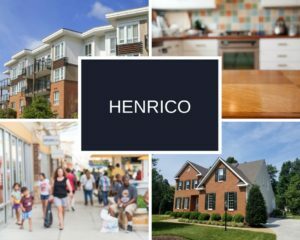 Henrico County trends are showing that sellers are typically receiving 99.8 percent of their listing price. That percentage is 1.2 percent higher this year than in March of 2017. The average number of days a home is on the market is averaging 35. That’s a decrease of 10 percent from the 39 days recorded last year at this time. If you’re thinking of putting your home on the market, you’ll want to contact an amazing real estate agent to help create a successful marketing plan. This is not something you want to leave to chance. Here are the most recent home listings just added to the database in the average price range for Henrico County – all homes here are priced at $249,000 or less.